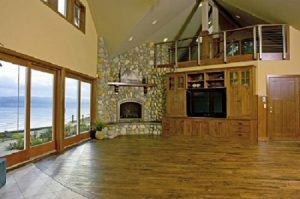 A whole or full house remodel is typically defined as making modifications to a kitchen, bath, as well as installing new finish products such as windows, doors, siding, roofing, trim work and flooring. It is common to upgrade all the mechanicals such as plumbing, HVAC and Electrical. 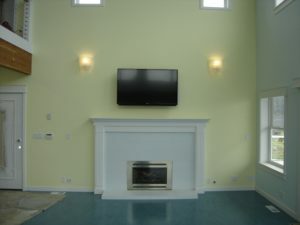 In some cases a whole house remodel will include a room addition. A whole house remodel is the best choice when moving to a new house is not an option because of the location of the existing house. 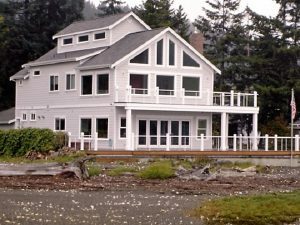 Maybe because the existing house is close to work and family activities or the most common reason is the house is located on beautiful acreage and/or overlooking a water way. Whatever the size and scope of the project we have the knowledge, skills and craftsmanship to complete the project to our clients satisfaction. The client wanted to transition a 1960 rambler into a spacious modern beach house thus increasing the living and sleeping space as well as the number of bathrooms in the home for family and friends. 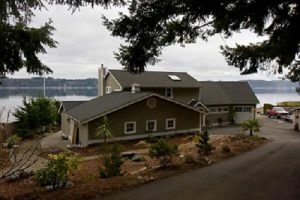 The original house was small and dark and had limited views of the Hood Canal so the customer wanted ceiling height and lots of windows to allow natural light into the home as well as Hood Canal viewing points from all rooms of the house. They also wanted to be conscious of using Green building design and material whenever possible. The whole house has a very open multipurpose room feel to it. The kitchen, dining, and great room act as one large room for entertaining. 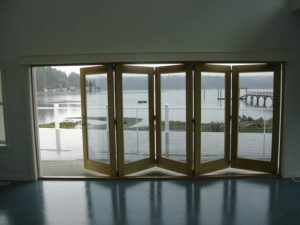 We added a 5 panel folding door to open the great room to a large outside deck to increase guest capacity and the open loft with a cat walk that can even provide more room for open conversations between guests. We added a Murphy Bed to the media room to provide extra bunk space. The master shower has multiple shower heads and body massagers as well as a sink, toilet, and bidet. 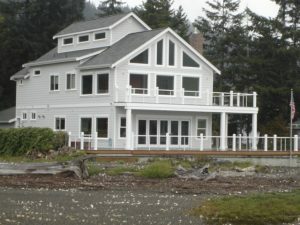 We have built a strong reputation as a trusted contractor serving Grapeview, Allyn, Belfair, Gig Harbor and Key Peninsula for quality craftsmanship. 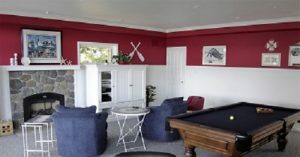 TN Miller Remodeling wants to work with you on all forms of Home Remodeling and New Custom Home Construction. Bring us your wish list and let TN Miller Remodeling use our knowledge, craftsmanship and experience to make your custom home or remodel come to life. 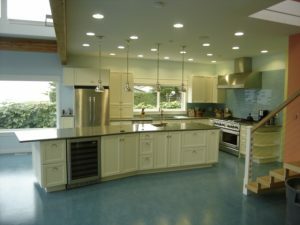 We are a very diverse firm specializing in Kitchen Remodeling, Bathroom Remodeling, Home Additions, and Garages. Bring your ideas or house plans and we will start with our signature design process. Learn more about our Whole House Renovation Signature Process.